Earlier this year, two venture capitalists, Emmett Cunningham of Clarus Ventures and Bill Link of Versant Ventures, came up with the idea to hold a meeting prior to this year’s AAO Meeting, to enable start up and other small and early-stage ophthalmic companies to present new innovations that they were working on to a group of “angels” and other potential investors, key ophthalmic industry leaders, and other interested parties. Thus was born the first Ophthalmic Innovation Summit (OIS). The day-long event was held at the Palace Hotel in San Francisco on October 22nd, co-chaired by the above mentioned venture capitalists. Over 400 attendees listened to 10 minute presentations from 25 early stage and small companies, including twelve ophthalmic device companies, and thirteen working on ophthalmic pharmaceutical products to battle various disease states. In addition to the company presentations, industry leaders participated in panel discussions on topics ranging from views of the private and public sectors, financing of ophthalmic device and pharmaceutical companies, what established ophthalmic companies are seeking in smaller companies, and regulatory issues (ophthalmic devices, ophthalmic drugs). As a wrap up to the meeting, two prominent ophthalmic practitioners, Richard Lindstrom and Mark Blumenkranz took a look at what the next five years might hold in the posterior segment (Blumenkranz) and the anterior segment (Lindstrom). Dr. Lindstrom said that glaucoma surgeries may become a safe and more effective first-line alternative to medical management in patients who are regularly non-adherent with, or whose disease is refractory to, topical therapies. He also suggested that efforts to prevent cataractogenesis and presbyopia may someday preempt efforts to treat them. Dr. Blumenkranz said that ophthalmologists are learning what oncologists discovered years ago – combination therapy is often superior to monotherapy. He also noted that virtually all retinal diseases conform to one of four avenues of pathogenesis, and that all four of those are in some part VEGF-dependent. With the success of this first meeting, Dr. Cunningham hopes to make the OIS an annual event. Dr. Emmett Cunningham is a Partner at Clarus Ventures. He will be Co-Chairing the upcoming Ophthalmology Innovation Summit scheduled for October 22nd at San Francisco’s Palace Hotel along with Dr. Bill Link of Versant Ventures. Prior to Clarus, Dr. Cunningham was senior vice president, medical strategy, at Eyetech Pharmaceuticals, where he helped build and lead the development and commercialization of Macugen, the first pharmacotherapy for age-related macular degeneration (AMD). Prior to Eyetech, he was at Pfizer. Dr. Cunningham is an ophthalmologist, an internationally recognized specialist in infectious and inflammatory eye disease, and an Adjunct Clinical Professor of ophthalmology at Stanford University. Dr. Cunningham discussed both the upcoming Ophthalmology Innovation Summit and issues related to ophthalmic drug and device development with Jim Stommen, recently retired editor of Medical Device Daily. HS: What are the key marketplace challenges for firms – and their investors – operating in the ophthalmic space? Cunningham: The ophthalmic space has become relatively crowded in the past 5 years, which means there are more people and companies chasing the same end-points and indications. That’s a good thing for the patients who need new and improved treatments, but it makes investing a little more challenging because it’s harder to predict what the competitive landscape will look like 5 to 10 years down the road. In addition, the cost of running clinical trials continues to rise, and trials take more time enrolling. Perhaps the biggest challenge, however, is the overall financial environment. Investors, including venture investors, have responded to recent changes by becoming less willing to take on risk. For those companies developing drugs, many investors want to see randomized Phase II data. Similarly, for commercial-stage companies, many investors like to see enough of a sales ramp to be able to predict profitability. This has effectively left some companies “stranded” between financings. HS: Aside from the format for trials and trial approvals, etc., are there any specific regulatory issues that apply broadly within the ophthalmic pharma space? Cunningham: There are lots of very nuanced regulatory issues in the space. Really, ophthalmology has four big indications: wet AMD, dry AMD, diabetic macular edema/diabetic retinopathy, and glaucoma/neuroprotection. Everyone would agree that these each have the potential to be billion-dollar-plus markets. The next-largest indication is dry eye, which currently is about a $500 million-sized market in the U.S., but could be much larger once drugs with improved efficacy are available. If you look at AMD, the first drug approved was Eyetech’s Macugen. It had modest efficacy, but was clearly more efficacious than placebo or the standard of care at the time. Next to come along, about a year later, was Lucentis, which had much greater efficacy. And by greater efficacy, if you looked at the primary endpoint response range, Macugen was in the 70% range and Lucentis was above 90%. So once you have a therapy that has a 90% efficacy rate, however you define that, it becomes very challenging to develop a drug that’s superior. So from the perspective, of having a very effective drug on the market, it’s harder to develop new drugs in the wet AMD space. Dry AMD also is a very large market, but no one to date has developed a drug for it, so the regulatory and clinical development issues are still to be worked out. There are trials underway, and people are very enthusiastic about them, but until it actually happens, it’s unknown territory. Dry eye has also historically been a very difficult indication. Allergan has Restasis approved for dry eye, but no other company has been able to get a drug approved for that indication. My guess is that it is difficult because the pathogenesis is complex – most companies go after things that are anti-inflammatory, or that increase tear production, but inflammation on the one hand and tar production on the other each contribute only partially to the pathogenesis of dry eye, so targeting either mechanism might be treating only part of the disease. 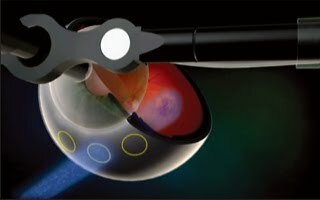 It’s a lot easier to develop a drug for glaucoma, where you have a very clear endpoint of pressure reduction, but because we have so many drugs available for pressure reduction, the hurdle has been raised to where the absolute pressure reduction for any given agent needs to be pretty pronounced. The hot area right now appears to be the so-called ROCK inhibitors, and a few companies are looking at those, but to be real winners in this space, they have to have good tolerability and compelling efficacy. The are lots of other indications, such as infectious conjunctivitis, allergic conjunctivitis, etc., that are much smaller markets. HS: Are those smaller markets worth getting involved with? Cunningham: Yes and no. There are certain costs of developing a drug, no matter how big the market is, so if the market doesn’t justify those costs, then people don’t do it. They might do it as a second indication once it’s gotten approval for a lead indication, but they typically don’t bet the ranch on small indications. HS: The agenda for your upcoming conference addresses the development of both device and drug solutions. Are there more opportunities for innovation, especially by smaller companies, on the device side? Cunningham: Some problems are more amenable to devices, such as optical problems – those problems that have to do with focusing the image on the retina. One example is reversing presbyopia with accommodating intraocular lenses, currently pursued by Visigen, NuLens, and PowerVision. On the instrument side, WaveTec has a device that is used for accurately measuring the refractive area of the eye at the time of surgery to try to help improve placement of intraocular lenses, among other things. Devices also play a role in glaucoma management, particularly for patients who fail medical therapy. Examples would be Glaukos and Transcend, among others. There are lots of other examples, but generally I would say there’s considerable activity in both devices and drugs in ophthalmology. HS: We have talked quite a bit about AMD, so I’m wondering where we’re headed with Lucentis, which has the huge market penetration, and then Avastin, which has made strides on an off-label basis. Cunningham: Just by way of history, it’s not that long ago that we had no good therapies for neovascular AMD. 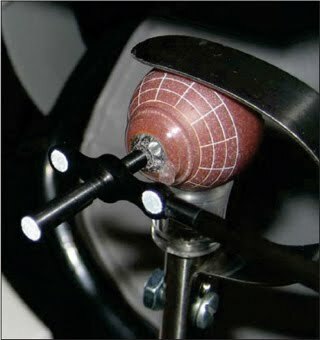 I have friends who are retinal specialists who say, frankly, that practicing in that era was depressing, because patients would come in, they would have had a huge vision loss in one eye and oftentimes both eyes, and the physicians would have nothing to do except hold their hands and try to get them through it. So this whole era of anti-VEGF therapy has truly been a revolution in therapy for what is the leading cause of blindness in the developed world. Lucentis is a phenomenal drug. Genentech really outdid itself. Their commercial issue, however, is that Lucentis is basically an enhanced fragment of Avastin. So, once the Lucentis data came out, but when there was still a year or so until approval, people had the idea to compound Avastin and inject it into the eye, and experience with Avastin and Lucentis over the past 4 years has led many to assume that the two drugs have equivalent efficacy. To address this point directly, there’s an ongoing trial, called CATT, that is designed to rigorously compare the relative efficacy of Lucentis vs. Avastin for neovascular AMD. If Avastin is shown to be non-inferior, many assume that Lucentis sales will drop dramatically. So now you have two very good drugs that are available for AMD – Lucentis and Avastin. You also have Macugen and lasers – specifically photodynamic therapy and thermal laser therapy. The first question, therefore, has to be, what is the unmet need? I think it’s clear that there’s a proportion of patients who don’t respond very well to intraocular VEGF inhibitors. Maybe it’s 20%, maybe it’s 30%. It depends on who you talk to. Maybe it’s only 10%. But it’s in that range. In addition, even those who respond to anti-VEGF agents find it difficult to tolerate these injections every month or two. They tend to be older patients, many have to be brought to the office by family members, the eye has to be prepared in a sterile fashion -- just as though they were going to undergo surgery, and then the injection is given. I think a big movement in the space now is trying to find novel targets that can either supplement the efficacy of Lucentis or Avastin, which is a high hurdle because they have up to a 90% response rate, or treat those who are not responsive to Lucentis/Avastin. One such agent is the aptameric PDGF inhibitor being developed by OphthoTech. Others include a raft of complement inhibitors being developed for wet and dry AMD. The other thing that people are looking at is getting agents into a sustained-release format so that injections might only be every three months or six months instead of every month or two, to save the patient burden and the physician burden, because these injections have become so frequent that doctors are spending a significant portion of their time just doing injections. That’s the two big pushes in the AMD area right now. HS: Two device-based approaches being studied as possible solutions for AMD involve the use of ionizing radiation delivered via systems developed by NeoVista and Oraya Therapeutics, both of which will present at the Summit. How would you characterize their progress? Cunningham: If you had asked me five years ago whether I thought radiation would work, I would have said no. I would have said no because there had been trials that had looked at various radiation therapies for AMD, and they had basically failed. What NeoVista and Oraya would tell you, I believe, is that the radiation in those earlier trials was external radiation, and so wasn’t very focused. NeoVista actually puts the radioactive device very, very close to the retina and Oraya gives a finely focused external beam. I haven’t seen all the data for NeoVista -- and I think Oraya’s device is fairly early in development -- but the data that I have seen looks very intriguing. HS: The laser refractive surgery (LASIK) segment has been dramatically impacted by the overall economic decline, but within that space, one intriguing segment is that of premium intraocular lenses. How is the market going for P-IOLs? Are some patients and practitioners taking a “wait and see” approach toward whatever improvements are forthcoming in what is a first-generation product market? Cunningham: Premium IOLs have been much less affected than refractive surgery. The reasons are probably multiple and complex, but at base I think older retirees have more discretionary funds and tend to be more willing to spend the money for optimal vision. HS: An intriguing area on the device side of ophthalmic therapy lies in the femtosecond laser technology for cataract removal that is under development by LenSx, another company slated to present at the Summit. Does this have the potential to be a “disruptive” technology in the space? Cunningham: They’re early in their innovation curve, but the technology looks very impressive. If they’re able to do what they plan to be able to do, I think it could be disruptive. HS: You talked a little earlier about glaucoma, and obviously you have surgical approaches, but there are some other innovative approaches that look to me making inroads because of the falloff in patient compliance on the drug side. Docs often talk about the difficult time they have keeping their patients compliant in use of drugs for glaucoma. Cunningham: A few points: A) Glaucoma is very, very common; B) many patients are to a greater or lesser extent non-compliant; and C) many patients – perhaps up to 50% -- need more than one drug, which speaks both to how refractory the disease can be and, as mentioned, the issue with compliance. For all those reasons, new therapies are always welcome, and it could be another drop with a novel mechanism of action, that had the potential to be additive to current drops, another drop that was just so effective that it could supplant what is out there, or a device that could either supplant some of those patients who are on multiple drops or treat some of those downright treatment failures who don’t respond to any number of drops. For all of those reasons, glaucoma still is a very attractive space. HS: Could you talk about the current funding environment in the ophthalmic space? Cunningham: I don’t know if it’s the end of the beginning or the beginning of the end, as Churchill said, but I think people are beginning to see the light at the end of the tunnel. That said, credit and investments are still tight, and since the third quarter of last year, people have just been much more circumspect about their investments. I’d like to think that over time, things would get back to where they were a couple of years ago, which is to say staged investors willing to help shepherd these companies from inception through exit. HS: What do you hope to accomplish with this new Ophthalmology Innovation Summit? Cunningham: I’ve thought for some time now that it would be great to have a venue that would bring together early-stage companies, investors and the larger, later-stage public companies to facilitate the development and delivery of new drugs and devices to improve therapies for vision-threatening disorders. We also welcome entrepreneurs, physicians and vision scientists who are interested in company building and the process of developing ophthalmic drugs and devices. As you look at the agenda, I think you’ll agree that it really is a “who’s who” in the ophthalmology space, from the large companies, to the most promising private companies, to the VCs who invest in this space. Our hope is that this will be the first of what becomes an annual tradition. Academy Alive – email from the AAO to its members for October 23, 2009. In addition, the Medicare contractors have been instructed to reprocess any claims from physicians for Avastin administered in their offices that were paid based on the Q2024 code if requested by the physician. In plain English, this reverses the prior reversal and the policy goes back to the original policy in effect before the reduction in reimbursement took place. Good news for both retinal physicians using Avastin and for patients and Medicare! According to a spokesperson for the AAO, Dr. William L. Rich, the AAO's Medical Director for Health Policy, "The AAO, all three retinal societies, Congress and our patients are all very thankful for this reversal. It benefits patients, doctors, and taxpayers." In my constant search for new information about AMD treatments, I happened across a blog devoted to all things retina: The Retina Blog. In one posting, following the recent AAO Meeting, author David Khorram reported on Dan Martins talk during the Retina SubSpecialty Day Meetings. Apparently, the Academy sent out an email on its Academy Live network describing Dan’s talk in more detail than I had received. Anyway, The Retina Blog had the up-to-date details on both the CATT Study and most of the other head-to-head studies – although, news about the Spanish study appears to be missing. Here, thanks to David Khorram, is the latest information on the comparative studies. This bit of news just came in from the annual meeting of the American Academy of Ophthalmology, which is being held right now in San Francisco. There is a lot happening in terms of these two drugs. The results will be important, both clinically and economically. Lucentis costs $2,000 per dose. Avastin costs less than 10% per dose. Both drugs are made by Genentech — that’s a whole different story. Here is a list of the current clinical trials as described in the article from the “Academy Live” email of Friday October, 23, 2009, a service of the American Academy of Ophthalmology. Bevacizumab (Avastin) and ranibizumab (Lucentis) are competing in a hefty schedule of six head-to-head randomized clinical trials directly comparing their use in AMD patients, said Daniel F. Martin, MD. This year, researchers hope to complete enrollment in the studies, which compare varying doses and treatment schedules of the drugs. Initial study results are expected to be available in early 2011, according to Dr. Martin. 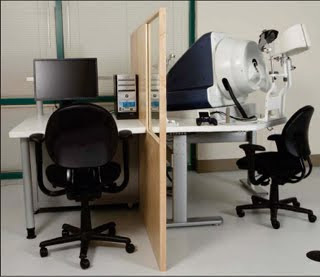 * The NEI-sponsored CATT (Comparison of AMD Treatments Trial) study began enrolling an estimated 1,200 wet AMD patients at 44 sites in the United States in February 2008. The four-arm study comparing bevacizumab and ranibizumab on fixed and variable schedules is proceeding well, according to Dr. Martin, with one-year results targeted for 2011. * In April 2008, researchers in the United Kingdom began enrolling an anticipated 600 patients at 17 sites in the IVAN (Inhibit VEGF in Age-related choroidal Neovascularization) study. This four-armed study compares monthly bevacizumab 1.25 mg and ranibizumab 0.5 mg injections given over two years with three monthly injections followed by PRN dosing. * The four-site German VIBERA study started enrolling 360 AMD patients in 2008 to receive three monthly bevacizumab 2.0 mg or ranibizumab 0.5 mg injections and additional injections as needed. * The Austrian MANTA study began assigning an anticipated 320 AMD patients in June 2008 to three monthly bevacizumab or ranibizumab injections, with additional treatment as needed. * Researchers in Norway began enrolling an anticipated 450 patients in the 12-site LUCAS study in March. Subjects receive bevacizumab 1.25 mg or ranibizumab 0.5 mg monthly as needed until dry, with intervals between doses decreasing over time. * French investigators opened enrollment this fall in the 600-patient, 20-site GEFAL study. Subjects are randomized to receive three initial monthly injections of one of the two drugs. David Khorram, MD is the co-founder of Marianas Eye Institute, and the medical director of the Center for Advanced Diabetic Eye Care. A US-trained Board Certified ophthalmologist, he is listed in "Guide to America's Top Ophthalmologists." The following note was received this morning by my contact in Senator Kohl’s office, from the director of CMS’ Office of Legislation, along with the wording, shown below, taken from the Federal Register of October 30th. “The excerpt from the CY 2010 hospital outpatient PPS final rule follows below. I have also attached the relevant page (page 615) from the copy of the rule that went on display at the Federal Register on Friday afternoon. We note that HCPCS code Q2024 (Injection, bevacizumab, 0.25 mg) was implemented effective October 2009 and represents a different dosage descriptor for the same drug described by HCPCS code J9035 (Injection, bevacizumab, 10 mg). Further, HCPCS code Q2024 has been replaced with HCPCS code C9257 (Injection, bevacizumab, 0.25 mg) effective January 1, 2010. In accordance with our CY 2010 policy to make a single packaging determination for a single drug, we are applying the methodology described above to bevacizumab and are assigning the applicable bevacizumab HCPCS codes the same packaging status for CY 2010. HCPCS codes C9257 and J9035 are included in Table 35 below. In what I read from this in plain English, the reimbursement for the 0.25 mg dosage of Avastin, used in treating AMD, will revert on January 1st to the reimbursement in place before the change over on October 1st, or about $50.00, which I believe is what it was before the change. Further, both CMS and Senator Kohl’s office, along with several ophthalmic organizations (AAO, ASRS, among others), continue to look into/request that the change in policy be implemented before January 1st.